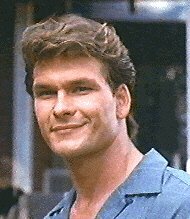 I kind of thought Patrick Swayze was dead. I can’t think of anything he has done since ‘To Wong Foo Thanks for Everything, Julie Newmar’. It turns out that I may have jumped the gun when I mistook his less than prolific movie career for his eternal demise. He turned up in the press this week to tell the world that Mel Gibson is not anti-semitic. This article on E! Online summarizes what I was wondering…does Patrick Swayze even know Mel Gibson? All that aside, I have to wonder how much good it will do Mel Gibson to get a ringing endorsement from current D-lister, Swayze (putting him on the d-list is generous…4 minutes ago I thought he was dead),. Maybe I am underestimating how much Americans love 'Dirty Dancing'? Hmm. Not sure I care what the Swayz thinks. Now make sure to let me know if Baby weighs in.